Welcome to Dollybird Bakes home of published cake artist, Hayley Lankston. Specialist in creating beautiful bespoke, luxury cakes for weddings & special occasions. We offer a tempting menu of deliciously indulgent flavours, sourcing locally wherever possible the finest & freshest of ingredients, our aim is that your cake will taste just as amazing as it looks. With a passion for elegance & detail as well as flavour, we perfect every bake for each individual client, to ensure dream bakes for weddings, birthdays, christenings or any other special occasion. 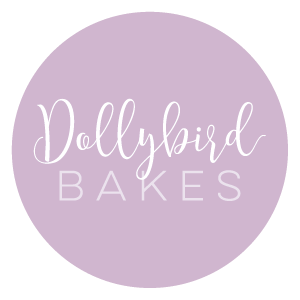 Dollybird Bakes is based in Launceston, Cornwall, sitting just on the Cornwall / Devon border, supplying the South West, and further afield upon request. Find out more about Hayley & Dollybird Bakes here.